How do you typically introduce yourself? If you’re like most of us, you share your name and job and then ask the person you’re with what they do too. Stella & Dot Co-founder and Chief Creative Officer Blythe Harris was accustomed to the same until a traumatic accident left her without a response to that common question. We talked about Blythe’s drive defying all odds to fully recover in our conversation. Here, I want to highlight how it inspired her to change the way she approaches life, as it can be an influential shift for all of us. First, she decided she wanted to create a meaningful life, not an impressive resume, which meant she would focus on designing a lifestyle rather than solely prioritizing her career. She’s fully achieved both of these goals through the likes of empowering 25,000 Stella & Dot stylists to earn over $500 million in flexible income to raising two beautiful children, which after being told having kids would likely be impossible felt like the final chapter in her recovery. 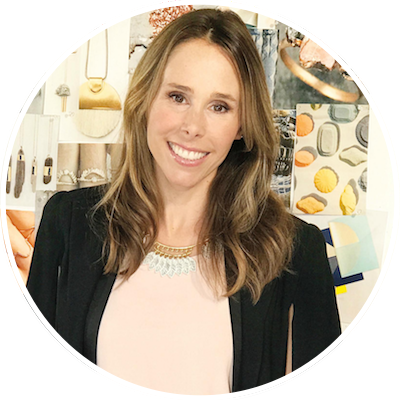 Blythe “truly believes that everyone is born with inherent creativity” and has made it her life’s mission to not only help us get in touch with our creative selves but to make creativity the focal point of our daily lives. I learned so much from our time together and am grateful to highlight these simple practices she shared to help us enhance our creativity. She suggests carving out one or two hours to think creatively with no agenda. While the duration should, of course, be based on your schedule, it’s essential to give yourself enough time to get into and stay in a state of flow, when things start feeling effortless and joyful. That’s when your true creativity comes through. It’s useful to approach this time with an exploratory mindset rather than expecting an outcome. Whether you come up with a brilliant project or spend two hours hiking, all of the creative ideas you’ve generated go into what Blythe calls your “imagination network:” An internal well of inspiration comprised of everything you see and do. To make scheduling a single or few hour time block feel less daunting, Blythe suggests clustering your task-oriented responsibilities during a specific time of day so you can complete them without influencing your ability to get into a state of flow. Try returning to this state of mind during your next creative session by welcoming every idea that arises rather than labeling it as good or bad. Name and tame your resistance voice: Whether you’re working on a creative project or simply going to the gym, inner resistance nearly always surfaces during the time between beginning a task and getting into a state of flow. Resistance is part of human nature, so while we can’t eliminate it Blythe has a simple and effective approach to control it: Name it. Tune out external negativity: Creativity is always personal, which can make receiving feedback feel particularly vulnerable. Because creativity stems from within, it’s essential not to allow outside voices to block your creative channel. Blythe has another brilliant solution for this: Furry ear muffs. You don’t need to reserve your furry ear muffs solely for work situations, either. As someone who regularly utilizes ‘positivity air freshener,’ I can confirm they are a valuable tool to avoid being influenced by negative or unproductive thoughts. Morning Pages is a simple practice of writing down three pages of your stream of consciousness, whatever is on your mind, right after you wake up in the morning. The goal is to capture the space between your dreamlike and awake states. Don’t worry about writing cohesive thoughts. Just get everything out of your head and onto the page. Blythe has been doing morning pages on and off for 15 years and shared their two main benefits: “We all ruminate about things that are bothering us, even if we aren’t aware of it. The act of clearing that out of your head and removing your worries creates more white space for creativity to come in.” The practice also helps you capture the creativity of your dreams, and, with time, may even help you remember them more. Mini-meditations help you access one of your five senses to bring you back to the present. They only take a few moments and “are an incredible way to jumpstart your brain into a more imaginative state.” Close your eyes while sitting at your desk and feel the weight of your body. Try listening to the sound that is furthest away from you. I particularly like rubbing two fingers together as a quick way to calm down and recenter. Blythe recommends doing a few every day to boost creativity and decrease anxiety and stress. Switch up your routine: Whether it’s exploring a new city or ordering takeout from a different restaurant, mixing up your routine, even in small everyday ways, affords you new experiences and adds inputs into your imagination network.